We’ve been fortunate to be travelling around Ireland a lot of late and one city that we just love going back to again and again is Dublin. The capital city of Ireland has become a real cosmopolitan city in recent years and offers so much variety for locals and tourists. It’s always an extremely friendly and welcoming city to visit and with friends living in the city, we do try to get there at least once or twice a year. Our most recent trip was a few weeks back, and as we do with any of our city trips, we were out and about exploring the city and capturing many wonderful moments with our camera. While we have used photo editing apps like Instagram and off course Photoshop in the past, especially with our food, when it comes to sharing our travel snaps we like to keep it real. This means letting natural light take centre stage and forgetting about filters. We were delighted to be recently contacted by London City Airport about taking place in their third #NoFilter project. #NoFilter is a project being run in conjunction with London City Airport and Monica Stott of the popular Travel Hack website and it really embraces the true beauty of a particular location. The project started off with #NoFilterMadrid before #NoFilterSwitzerland kicked off. Now it’s the turn of Dublin and we are happy to share some of our favourite snaps of the city, photos that really highlight Dublin in all its glory. We decided that the best way to highlight what Dublin has to offer not only visitors but locals, was to look at the areas that get people talking. The sights, smells and noises that capture the essence of Dublin in one snap. It’s often said that a picture paints a thousand words and the following photos will certainly evoke many words, memories and feelings for those of you who have visited Dublin before or those of you who plan to in the future. 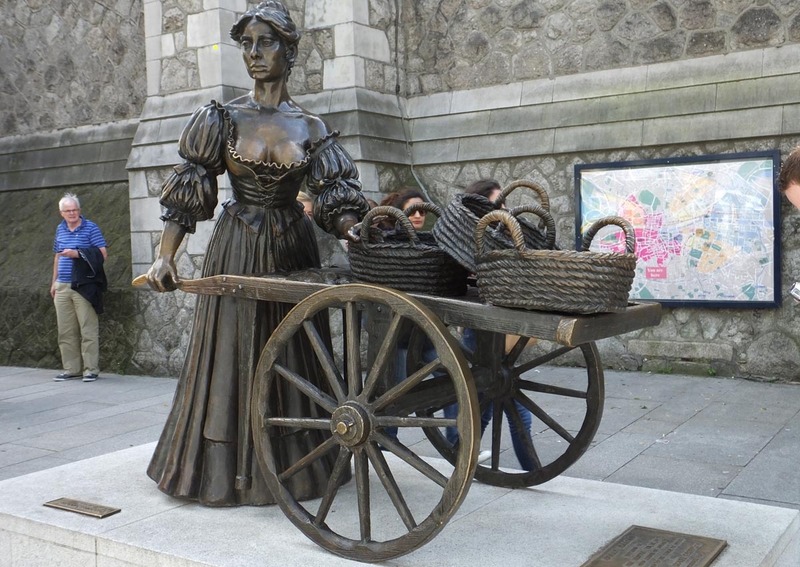 Perhaps the most famous lady in Dublin, the statue of Molly Malone has moved in recent years but remains the most photographed statue in the city. 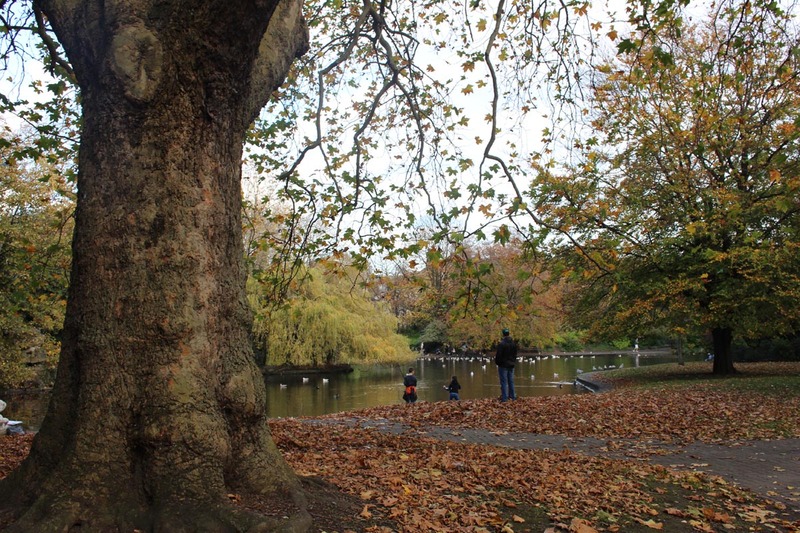 Smack bang in the middle of Dublin city centre is the popular St Stephen’s Green, with the shops of Grafton Street and the gallop of horse-drawn carriages providing familiar sounds. Take a break from the hustle and bustle of the shops by taking a stroll through the park and feeding the ducks. Perfect anytime of the year but extra special in autumn with the vibrant autumn colours. It’s easy to become distracted when walking along Grafton Street. If your head isn’t turned by the many shops then the many buskers, musicians and street performers will certainly catch your attention. We recently caught a snap of popular busking group Keywest. 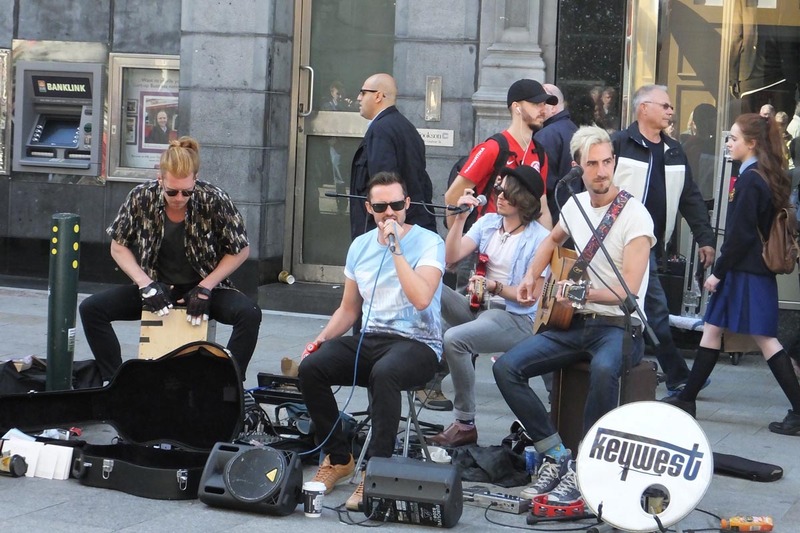 Keywest hit the headlines in recent days with their a charity song to raise awareness on the growing issue of homelessness in Dublin. If you haven’t already seen their video, check it out here. No trip to Dublin is complete without a trip to the Guinness Storehouse and you can read all about our recent visit here. The Storehouse is set across seven floors and tells the history and story behind the worlds most famous pint. 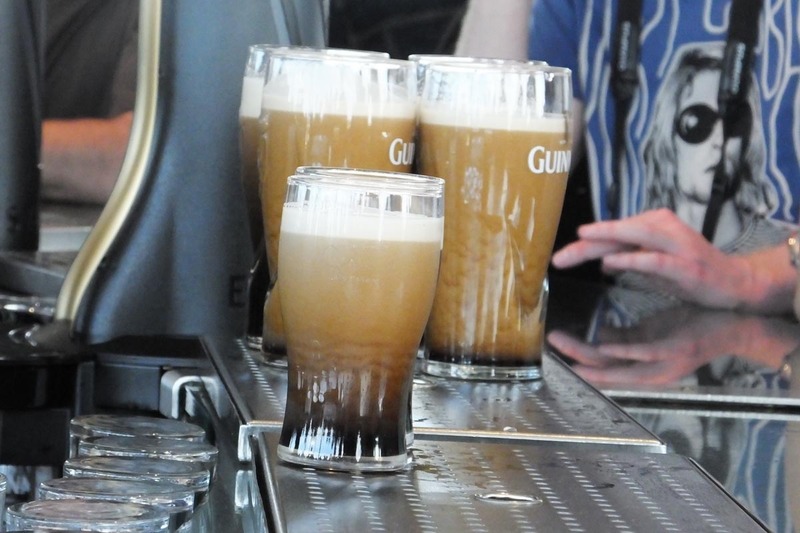 The tour is completed with a complimentary pint of the black stuff in The Gravity Bar, and take our word on it; you’ll not get a nicer pint of Guinness anywhere else in Ireland. 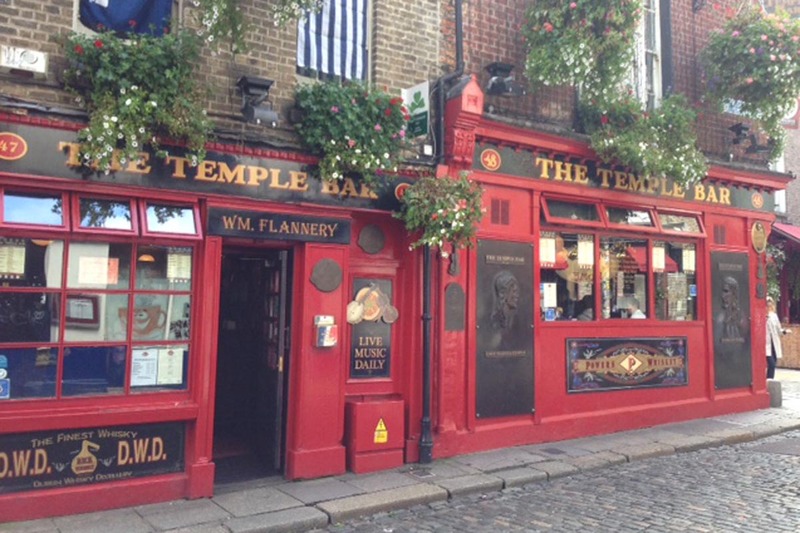 The last place that really highlights Dublin for us is Temple Bar, one of the most popular areas of the city for locals and tourists a like. 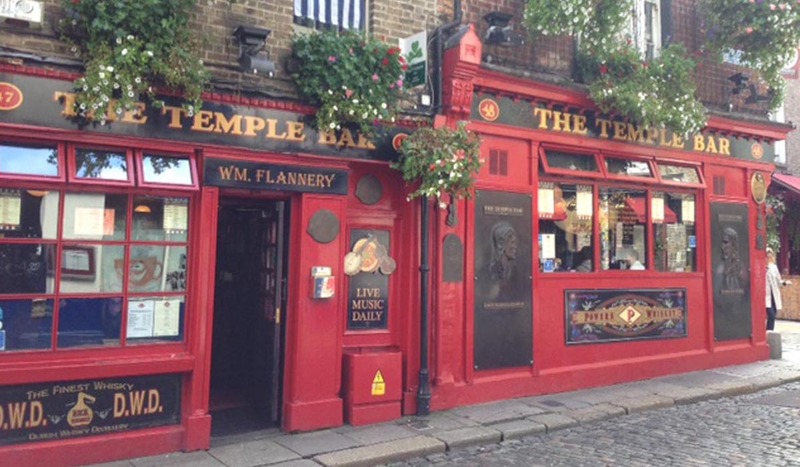 The pubs and streets along the Temple Bar area are buzzing throughout the week and no trip to Dublin would be the same without walking in through the doors of the famous red Temple Bar. With traditional music throughout the week, this will give you a real flavour of the city. These photos highlight some of the areas that evoke particular emotions when we think of trips to Dublin. Our photos also show that you don’t need to use filters to highlight the real beauty of towns and cities when you travel. Be sure to check out #NoFilterDublin on Twitter to see what other sites are proving popular around the city and be sure to add your own. You can also find out more about the #NoFilter project from London City Airport here. Let us know your favourite parts of dublin by commenting below or on our Facebook and Twitter pages.